Neil Young wrote the song in 1971 titled “Heart of Gold” with lyrics starting with “I’m Living, I’m giving, I’m searching for a Heart of Gold”. 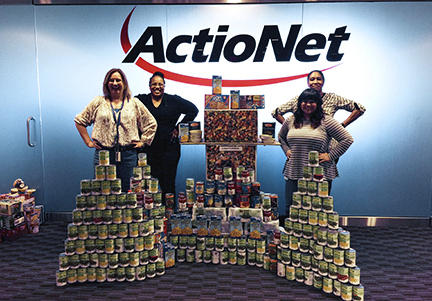 In Fall 2015, ActioNet, Inc. sponsored a “Heart of Gold” food drive competition, collecting non-perishable food items through October 22, 2015, to help fill the shelves at the Arlington Food Assistance Center (AFAC). There were 8 teams registered in the competition. 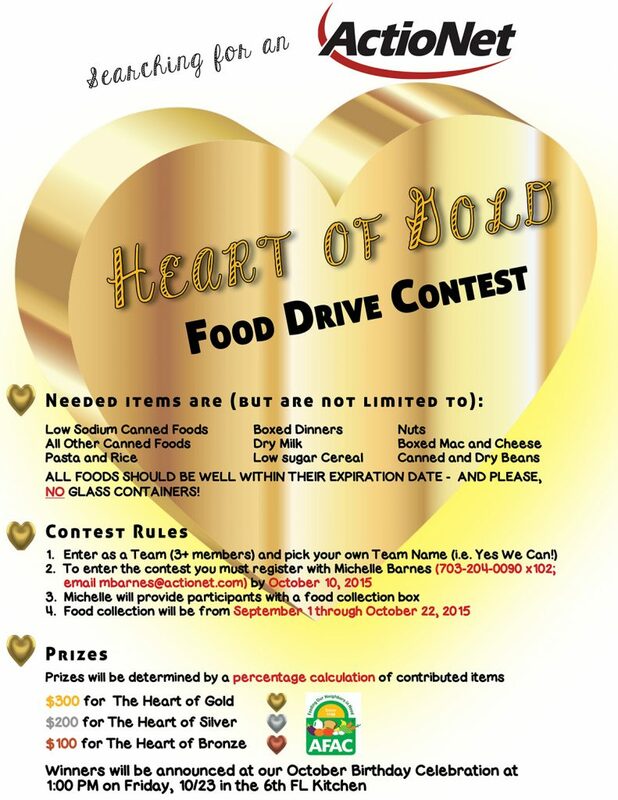 Our fierce and friendly competition to claim the title for the Heart of Gold took on the larger Mission of helping the many starving people in the world and we REALLY wanted to make a difference. There is approximately 1 in 7 people in the world that go to bed hungry. Our mission is to feed Americans and engage our country in the fight to end hunger. 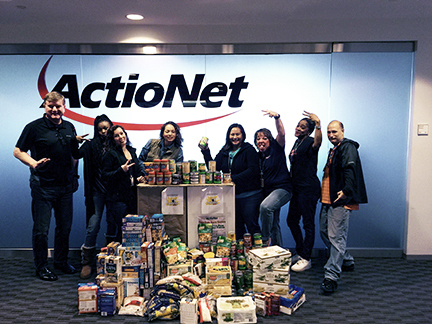 Our Top 3 Winning Teams were as follows: “We CAN Do It” (Gold), “CANUCOPIA” (Silver) and “Show Me Your CANS” (Bronze). 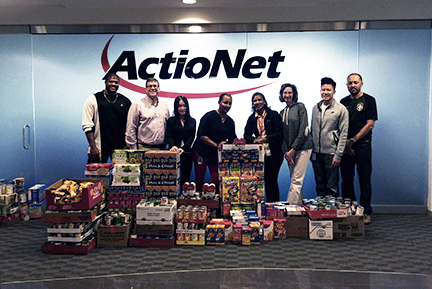 As of 10/23/2015, we have collected over 3,377 food items. All the members in the group contributed, we had fun and the outcome as you can see from the picture is rewarding for all of us. 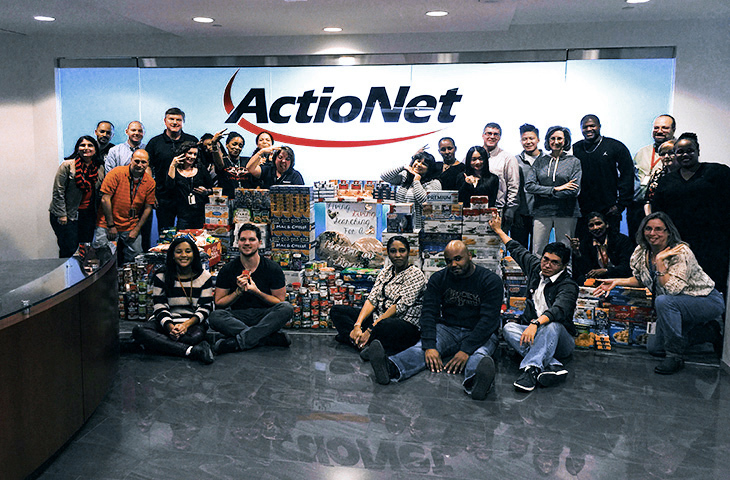 ActioNeters work hard, play hard, live healthy and have Hearts of Gold!!! 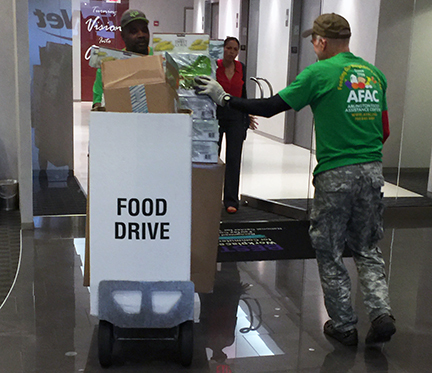 AFAC is in need of extra help this year as recent food drives have only brought in about half the normal amount even though those in need have increased. 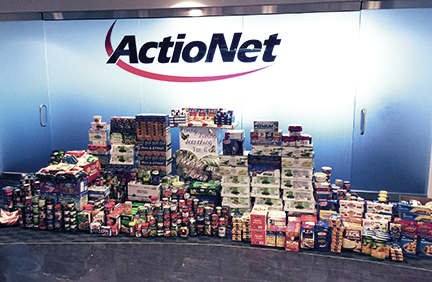 AFAC currently distributes over 80,000 pounds of food to nearly 2,200 families each week.